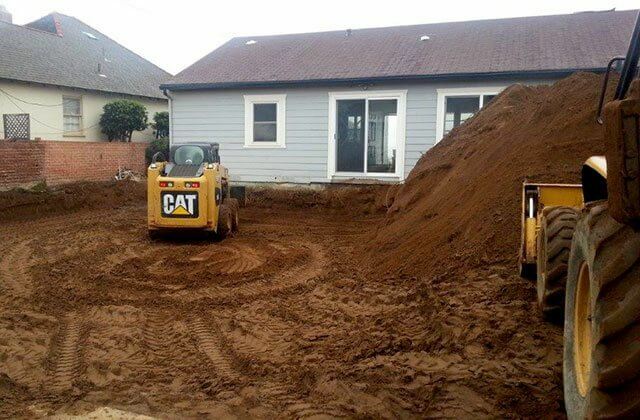 Because we hold a Class A general engineering contractor's license, we're qualified to be your "one call does it all" solution anytime you have work that involves digging, moving earth, leveling, and site preparation. Over the last 18 years, we've successfully installed utilities or prepared construction sites for thousands of satisfied clients and are trusted by many local builders, developers, architects, and engineers. We welcome a broad range of projects, from terracing a backyard slope to laying thousands of linear feet of underground, large-diameter piping. Having worked on a wide array of remodeling and new construction projects for commercial, industrial, and residential applications throughout San Diego County, including Encinitas, Solana Beach, Del Mar, Rancho Santa Fe, and Fairbanks Ranch, we know when permits are needed and how to ensure everything is done to code. Additionally, with the accrued skill and expertise of our highly experienced staff, we'll make sure that the job is done right the first time. 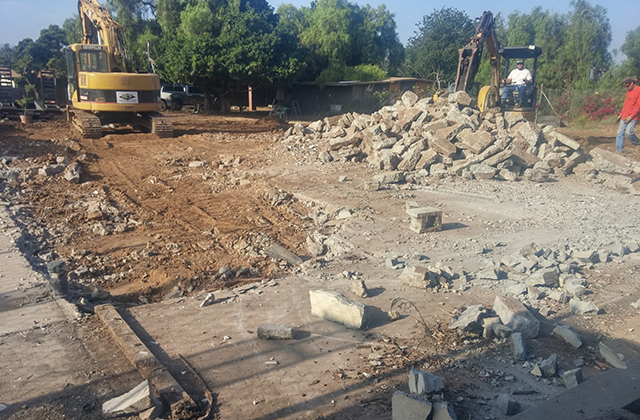 Over the years, we've been able to help our clients throughout San Diego County save time and money on projects that require backhoe and trucking services. We provide cost-effective solutions and are known for quality workmanship and completing projects on time and within budget. Call Hidden Valley Backhoe & Trucking Inc. today to schedule a free on-site consultation. We can give an upfront quote on the cost to complete an entire project or provide a quote at each phase of your project. We pride ourselves on providing honest advice and accurate estimates. Hidden Valley Backhoe & Trucking Inc. is fully licensed and insured. We're also an SDG&E Certified Gas Pipeline Contractor and Backfiller. If you have a lot in Encinitas, Solana Beach, Del Mar, Rancho Santa Fe, or other nearby area, that you wish to develop, call Hidden Valley Backhoe & Trucking Inc. to prepare your site for your new construction or remodeling project. We routinely transform the topography of land to match plans and requirements provided by engineers and surveyors and are experts in rough and finish grading. Rough grading involves moving large quantities of earth and compacting it to change the elevation, while finish grading is fine tuning the elevations and the grade to be ready for the next phase of construction. Once finish grading is complete, everything is uniform and ready for foundation work. Call today for a free on-site quote for any of our backhoe services. 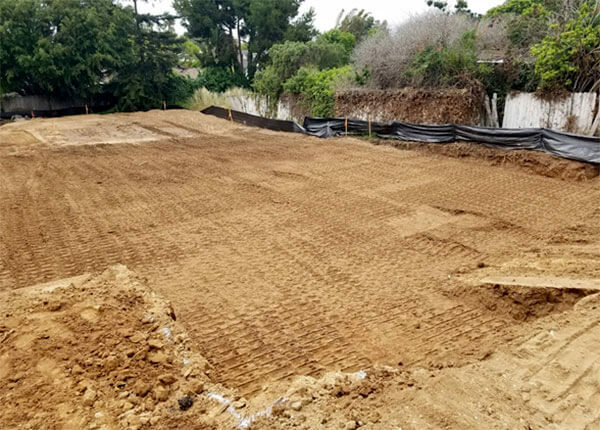 In addition to rough and/or finish grading services, we also provide digging, excavation, trenching, backfilling, and soil compaction services. 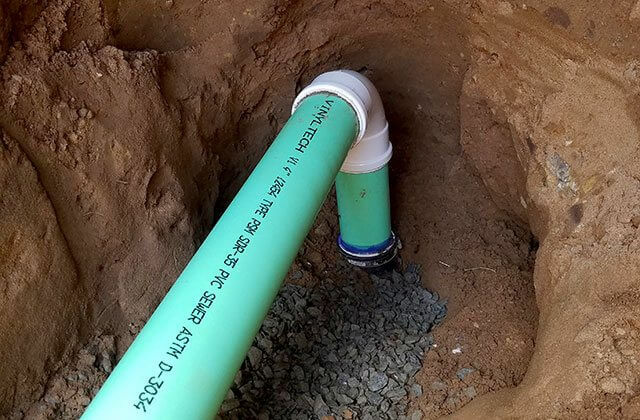 While a plumber focuses on indoor plumbing and the utility company will handle the main lines in the street, Hidden Valley Backhoe is the contractor you call to work on underground piping that goes from the main to the slab. In addition to trenching and pipe laying, we can also perform structural demolition, hauling, soil refill and compaction, grading, and asphalt/concrete repairs. We are familiar with all the different codes and restrictions in North San Diego County, including Encinitas, Leucadia, Solana Beach, and Del Mar, and make sure that we are always in compliance. Additionally, we are an SDG&E Certified Gas Backfill Contractor. Call today to learn more. When it comes to any new construction or remodeling project, it is critical to ensure that the site has been properly prepared. 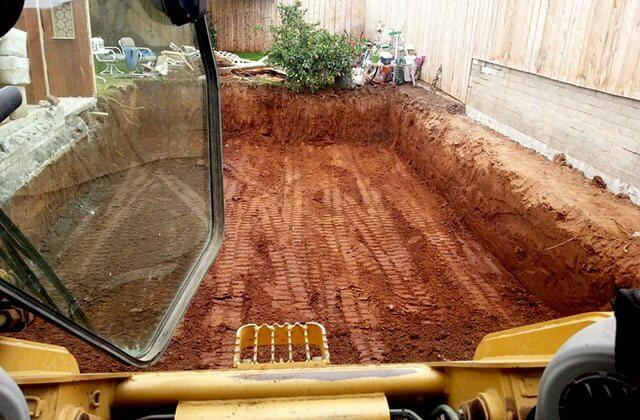 Before you start digging the footings, you'll want to be sure that the soil has the proper composition and meets compaction testing. If not, the ground could settle over time leading to cracks in the foundation, a sagging roof, and other major problems. In addition, the site needs to be correctly graded to match the engineering plans. At Hidden Valley Backhoe, we're able to handle the variety of earthmoving work that is required to prepare a site for construction. 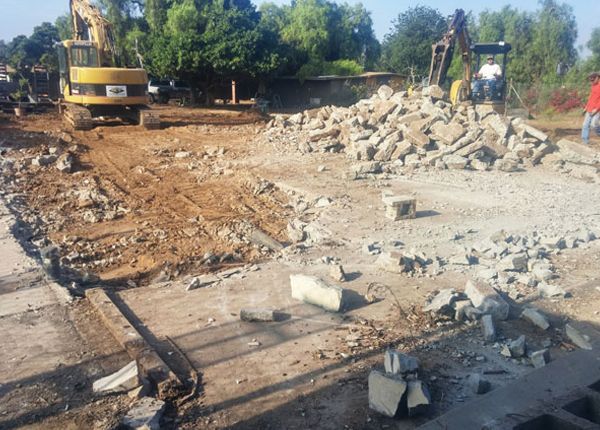 This includes concrete and asphalt demolition (including structural demolition), hauling, soil import/export, rough grading, finish grading, trenching, utility installation, soil compaction, asphalt paving, and concrete work. Since 1999, we've successfully completed thousands of projects for homeowners, businesses, and general contractors throughout San Diego County. 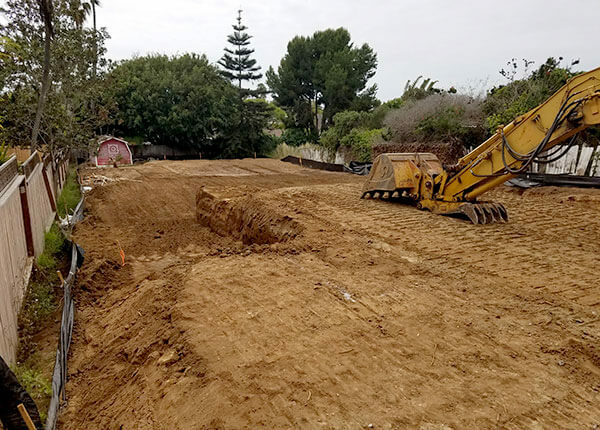 Call today to schedule a free on-site consultation for any of our backhoe services in Encinitas, Solana Beach, Del Mar, Rancho Santa Fe, and beyond. All of our work is done to code. 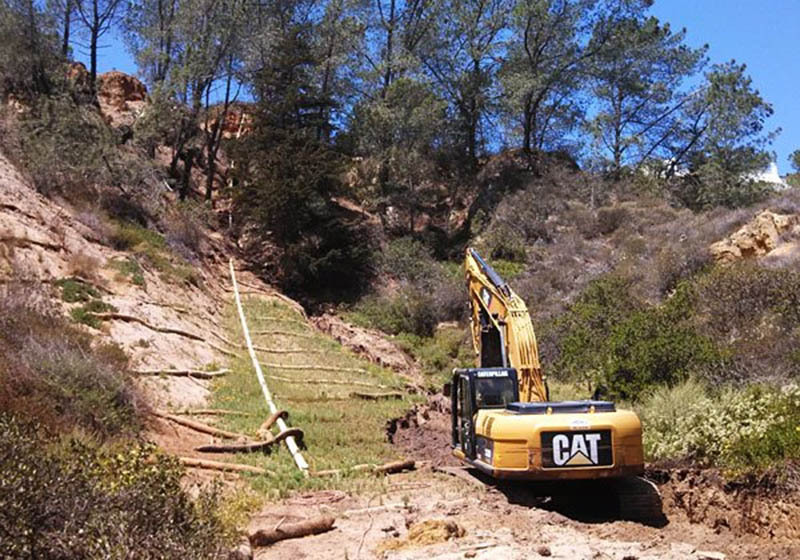 Hidden Valley Backhoe provides complete land clearing services throughout Coastal San Diego, including Encinitas, Cardiff, Solana Beach, Del Mar, Torrey Pines, Carmel Valley, Rancho Santa Fe, and Fairbanks Ranch. We demolish underground structures, such as electric vaults, water tanks, septic tanks, parking lots, and pipes, as well as aboveground asphalt and concrete structures up to three stories. While on site, we can also remove excess dirt, organic material, and junk. We'll haul it away and dispose of it properly. Our prices are very competitive, and we are known for our professionalism, reliability, and commitment to customer satisfaction. Call today for a free estimate. We completed this water line repair in Del Mar, CA. The project included slope remediation after repairing the busted water line.